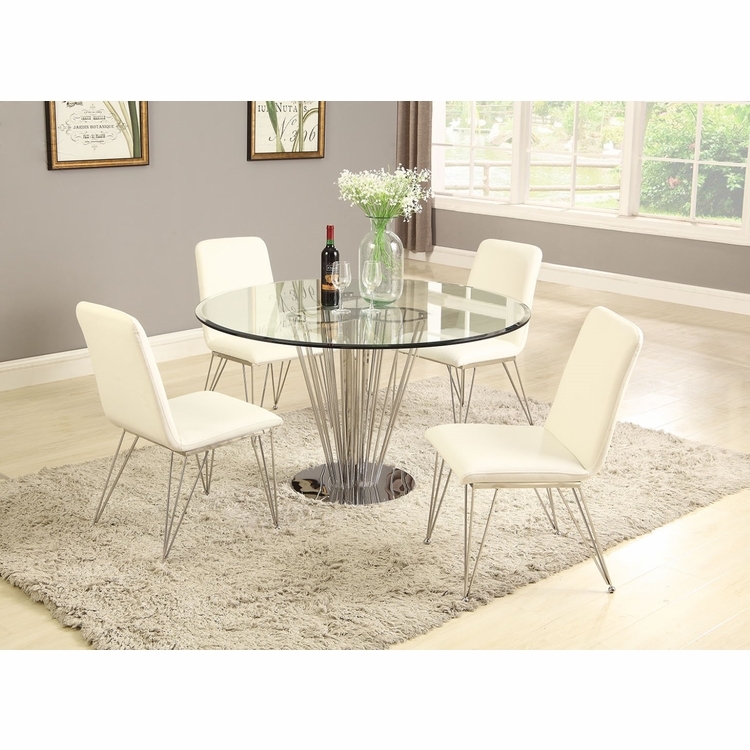 Add a contemporary feel to any dining area with this tempered, 51” round glass dining set. 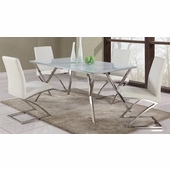 Supported by a tapered pedestal base, this table has a bevel edge and ½” thick glass. 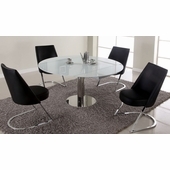 The pedestal is connected to a sturdy, circular floor plate and finished entirely in polished stainless steel. 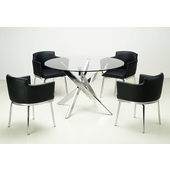 The featured set of chairs are upholstered in textured, faux leather for a sleek and clean look. 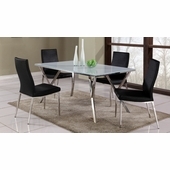 Matching the table pedestal for a well-balanced appearance, the sturdy, tapered legs are also finished in polished, stainless steel.